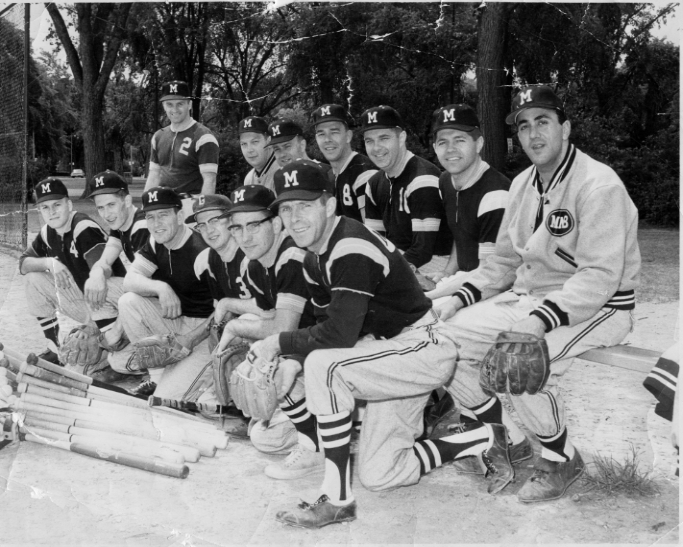 It was from this beginning that the MNB Alumni Association had its start. The financial League Team traditionally gathered on a Wednesday afternoon after the season ended to play golf and refreshments. A number of these outings were held at Independence Green, Halstead and Grand River. Also, the team originally played a team of Old Timers at the annual bank outing held at Ford Field in Dearborn. Through the years, this was changed to playing the intramural champions and then a group of all-stars from the intramural league in the 80's to keep the game competitive. The Old Timers Trophy, awarded each year to the winning baseball team was changed to the MNB Alumni Trophy in 1992 when the MNB Alumni Association was founded.